This unique design is the word Bander made of elements from the periodic table. A perfect design for anyone that bands or rings birds. 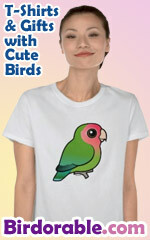 A great gift idea for any bird bander - w/ a chemistry twist!